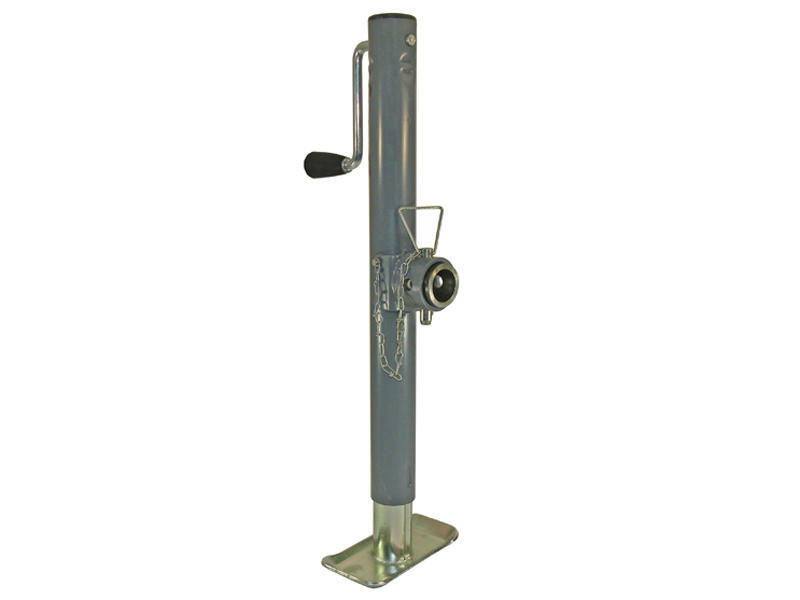 This item is a Sidewind, Bulldog Tongue Jack with a Gray Painted Finish. It has Rolled Acme Threads of Inner Screw which Allows for Smooth, Powerful Cranking. 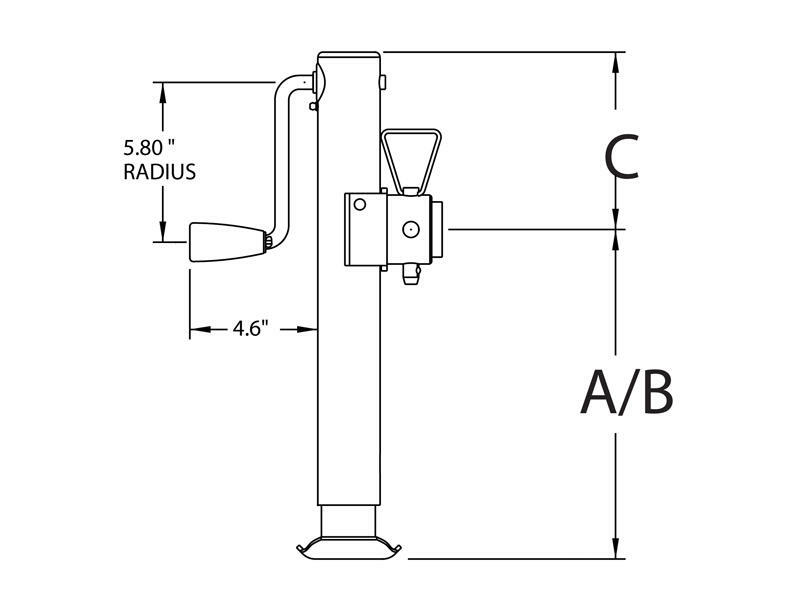 The Swivel Jack comes with a Weld-On Retaining Ring Bracket for up to a 3 inch x 5 inch Tongue, which includes the mounting hardware, plus a Rugged 4" x 7½" Disc Foot. Four locking positions with 9/16" diameter plunger pin.